Glyphosate is an active ingredient in the herbicide known as Roundup, and one of the most widely used weed killers in the world. A new study implies that glyphosate could be contributing to the die-off of honeybees around the world by making the bees more susceptible to infections. While previous research has found that neonicotinoids and other pesticides can cause harm to bees, glyphosate is an herbicide that only targets bacteria and plants. Though one might think that bees, who play a critical role in pollinating almost three-quarters of food crops, would not be harmed by an herbicide, the study implies that glyphosate could harm the microbiota that are found within guts of bees. Since glyphosate is used all over the world in large concentrations, the researchers believe that it could be contributing to the decline of honeybee populations around the globe, in addition to reducing viable habitat for honeybees. Erick Motta, from the University of Texas and author on the paper, explains that honeybees need the microbiota in their guts to defend themselves from damaging pathogens. Without these microbiota, the pathogens can kill them. 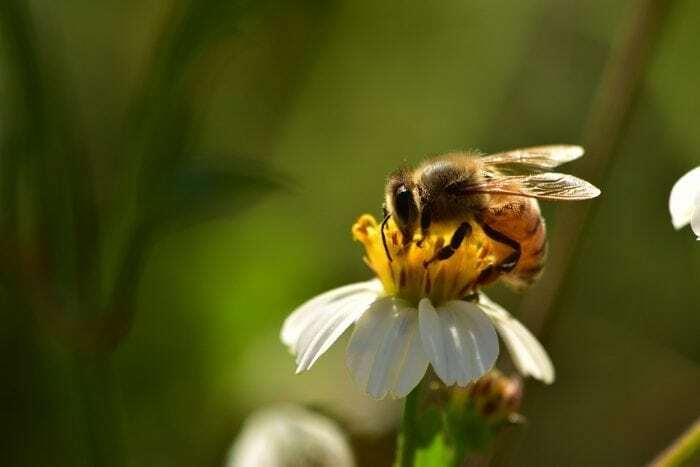 Motta says that the study found that the dominant gut bacteria within honeybees are decreased within bees who have been exposed to levels of glyphosate documented within the environment. Motta and colleagues found that worker bees who had been exposed to glyphosate were more likely to die when they were exposed to a ubiquitous bacteria. The study done by Motta and colleagues was published in the Proceedings of the National Academy of Sciences and it states that glyphosate “alters the bee gut community and increases susceptibility to infection by opportunistic pathogens”. Not only did bees exposed to glyphosate become more susceptible to pathogens, but the researchers found that it hampered the ability of bees to develop a normal gut biome in the first place. 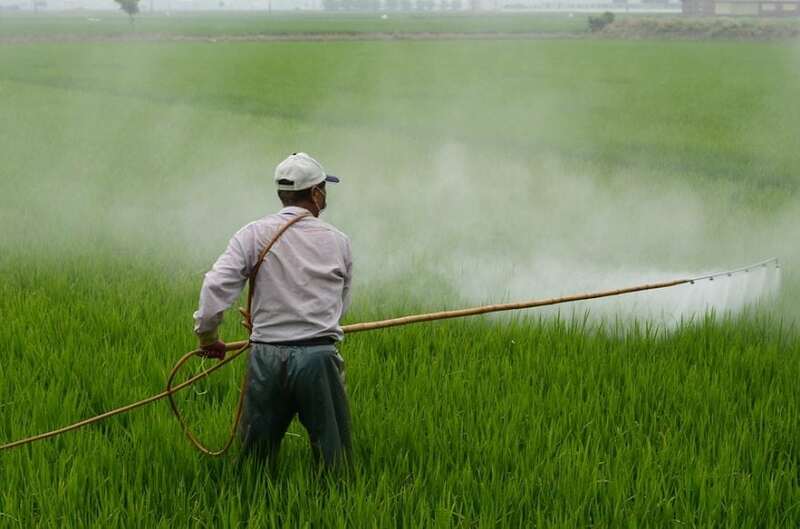 Yet other studies done in China found that the larva of honeybees grew much more slowly and were more likely to die after exposure to glyphosate. Glyphosate exposure is also thought to degrade the cognitive capacities of adult bees, making it more difficult for them to navigate and return to the hive after venturing out. The researchers collected hundreds of adult worker bees and then gave them doses of glyphosate intended to mimic levels of glyphosate found in the environment. The researchers treated the bees with either a large dose, (10 mg/L glyphosate [G-10]), a small dose (5 mg/L glyphosate [G-5]), or a sterile sucrose syrup as a control. The glyphosate levels in the environment are estimated to be somewhere between 1.4 and 7.6 mg/L, which bees may encounter as they forage around weeds and flowers. The bees were then returned to their original hive, and marked with a spot of paint on their thorax so that they could be distinguished from other bees in the hive. Less than 20% of the bees reintroduced to the hive (a sample size of 45) were recovered by the scientists, and they believe that the recovered bees may not reflect the total population of bees impacted by the effect of glyphosate on the bees that were treated. The herbicide effects of glyphosate may destroy plants that bees depend on to survive, according to Matt Sharlow of Buglife, an environmental conservation group. So even though the herbicide isn’t very toxic to the bees themselves the study suggests that pesticide/herbicide use can help unintended consequences including habitat destruction. Dave Goulson, professor at the University of Essex argues that glyphosate should be added to the list of threats that honeybee populations face, and that the wide application of pesticides and herbicides can harm insects in ways that are unexpected. Other studies on glyphosate has shown that it has a deleterious effect on gut bacteria in rats, and Goulson says that gut bacteria is an integral ingredient in being in good health for a wide variety of different organisms such as humans and bees. Goulson goes on to say that the finding that the bacteria found in the gut of bees seems to be sensitive to herbicides and pesticides like glyphosate is “concerning”. We need better guidelines for glyphosate use, especially regarding bee exposure, because right now the guidelines assume bees are not harmed by the herbicide. Our study shows that’s not true. However, while Motta and fellow researchers are concerned that glyphosate could be contributing to the die-off of bees and colony collapse disorder, others have warned against being too quick to pin the blame on glyphosate. Those skeptical of the study’s results point out that the level of glyphosate used in the study may have been far greater than what a bee would be exposed in the environment. Chemist at RMIT University in Melbourne, Australia, Oliver Jones, says it is probable the doses used are too high and do not adequately reflect the amount of glyphosate a bee is likely to encounter in the environment. Therefore, Jones argues, the results of the paper are evidence just that glyphosate could harm the guts of bees, “not that it actually does so in the environment.” Other culprits, such as global warming, mites, and other pesticides could also be contributing to colony collapse disorder. In terms of the glyphosate’s impacts on humans, epidemiological studies of glyphosate exposure do suggest some weak links between glyphosate and types of non-Hodgkin’s lymphoma. Bioaccumulation of glyphosate remains a concern to many scientists, however, such as toxicologist Felix Carvalho from Porutgal’s University of Prot, who says that the increasing usage of glyphosate in herbicides means people are likely being exposed to glyphosate in increasing dosages and that the exposure is “potentially deleterious”. 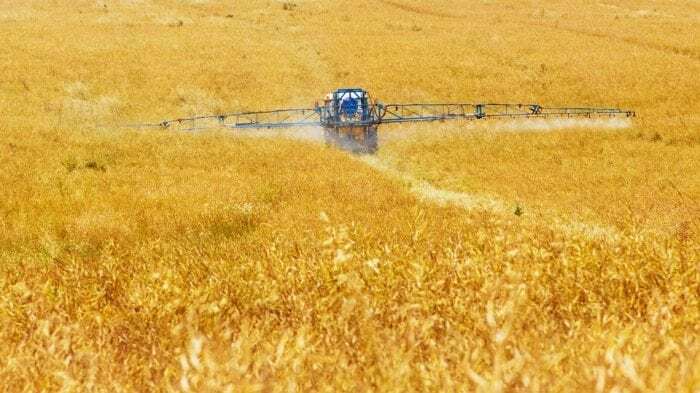 However, an analysis was done in 2016 surveyed over 90,000 workers that had been exposed to glyphosate on farms for over two decades and found no statistically significant association between glyphosate and non-Hodgkin’s lymphoma. Furthermore, a systematic review of cancer and glyphosate done in 2012 found that there was “no consistent pattern of positive associations” between cancer and large and exposure to glyphosate. While glyphosate may be unsafe at some level of concentration, so is every other chemical, and the questions revolve around what dosage people are being exposed to. In this regard, scientists and doctor’s like Steven Novella, a clinical neurologist from Yale University’s School of Medicine worry that opposing glyphosate is counter-productive and that as one of the safer pesticides out there, its replacement could be even worse for human and environmental health. Ultimately, the debate about glyphosate’s safety for bees rages on, and while the University of Texas study is interesting, it will take larger scale, more comprehensive research to uncover if glyphosate poses a substantial risk to honeybee populations.